These are some (but not all) of the professional WordPress services we can offer to you. We will quote you a price based upon the entire scope of the work you wish to have performed. Custom design work, including theme modifications. Upgrades WordPress updates and database updates. Content Creating, modifying, and formatting. Install and configure image rotators, galleries, sliders, magnifiers, etc. 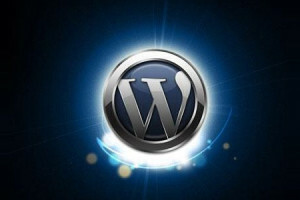 WordPress Consulting In-Person, Email, Telephone Conferences. Platinum SEO pack – Many options to SEO optimize your site. Google XML Sitemaps – This is a very effective SEO tool that will automatically generate/submit/update a XMLsitemap to major search engines. Advanced Text Widget – Allows you to add Text, HTML or PHP code to a sidebar widget and control which pages it appears on. Smart 404 – Uses your site for “404 Page not Found” results instead of a generic error page. SI Captcha Anti-Spam – Enables a customizable sitewide captcha box for comments, login, etc. CBNET Ping Optimizer – Prevents WP from pinging multiple page and post updates. StatCounter – See who visits your site, where they came from, what they looked at, and a multitude of other visitor details. The estimated price for getting your WordPress site setup and started using the above choices would be between $400.00 to $500.00. After you have begun you will then find that you can add, change, or delete content on your WordPress site quite easily. There are many resources available for help doing that!